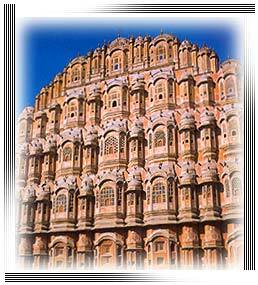 Jaipur, the capital city of Rajasthan was founded by Maharaja Jai Singh II of Kachhwaha dynasty in the year 1727. It is one of the colorful cities in India and is famous for its culture, forts, monuments, lakes and palaces. The city was designed by Vidyadhar Bhattacharya, an architect from Bengal and is the only living city in India that symbolizes the nine divisions of the Universe through nine rectangular sectors. The city has a large number of tourists’ destinations and has been included in the popular tourist “Golden Triangle” of Delhi, Jaipur and Agra. We at Touristplacesinindia.com provide you with complete information and Introduction about the city of Jaipur. Maharaja Jai Singh was a great lover of Mathematics and Science which made him built the World’s largest Observatory “Jantar Mantar” in the year 1728. The city is also known as the Pink City. The name “Pink City” is derived from the fact that in the year 1853, when the Prince of Wales visited the city, the city was painted entirely in Pink to provide a magical charm to the city. The city is encircled by big walls with seven iron gates and has some of the wonderful monuments like Hawa Mahal, City Palace, Rambagh Palace, Amber Fort, Nahalgarh Fort, City palace, Laxmi Narayan temple, Jal Mahal, and the Kanak Valley. One can also make a visit to the tourist destinations around the city like Amber, Samode, Tonk and Gaitor. The city is easily accessible by roads, railways and airways. There is an International Airport at Jaipur which is connected by daily flights from Delhi, Bombay, Jodhpur, Udaipur, and Ahmedabad through regular flights operated by major airline operators. The nearest railhead and bus terminus is also at Jaipur. 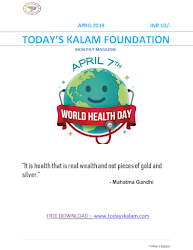 Besides, the city is connected by National Highways making it easily accessible by road from major cities in India. 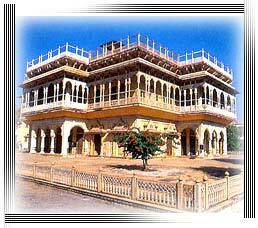 The city of Jaipur also offers various types of accommodations for the guests. There are a large number of Luxury, Star and Deluxe hotels along with a range of Budget and Economy hotels from which the guests can choose depending upon ones taste and preference. Some of the most sought after hotels in Jaipur include the Rajvilas, The Rambagh Palace, Jal Mahal Palace, Rajputana Palace Sheraton, Man Singh Towers, Hotel Jaipur Palace, The Trident, Hotel Maurya Palace and the Maharani Palace. Touristplacesinindia.com is an international travel site and a repository of useful information and Introduction of Jaipur.